Iran's President Hassan Rouhani said on Sunday fighting radical militants like Islamic State in Syria is the top priority and if they are to be defeated then President Bashar al-Assad's government "can't be weakened." "This does not mean that the Syrian government does not need reform ... Of course it does," Rouhani told an audience of U.S. think-tanks and journalists on the sidelines of the U.N. General Assembly meeting in New York, but he added that the removal of his ally Assad would turn Syria into an extremist safe haven. Discussions of political reform in Syria should come after the threat of extremism in Syria has been removed. Referring to air strikes by a U.S.-led coalition on Islamic State targets in Syria, Rouhani said defeating the militants was "not feasible through air operations only." He said Russia "is ready to fight terrorism" and shares the same desire to defeat the threat of Islamic State. 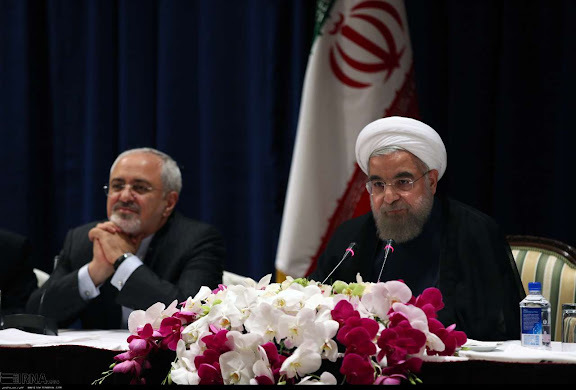 "If the priority is not to defeat terrorism, we are making a big mistake," Rouhani said. He added that Russia's and Iran's positions on Syria were "almost identical." Failing to address the problem of Islamic State properly and forcing out the government would result in the group taking control of Damascus, Rouhani said. COMMENTARY: There is an unverified indication suggesting Iraq's Abadi government may have instituted denial of Russian supply aircraft traversing Iraqi airspace, bound for Syria. The Rouhani administration perception of the American priority for the Syrian conflict remains regime change in Syria, rather than the defeat of ISIL and Al-Qaeda. Iran's military and conservative establishment advance the perception still further, accusing the United States of outright support of ISIL and Al-Qaeda, which is something of a parallel track of accusation to that of United States charges levied against Iran for harboring and releasing five senior members of Al Qaeda earlier this year, including the man who stepped in to serve as the terrorist group’s interim leader immediately after Osama bin Laden’s death. The beneficiaries to this lack of a unified international front remain ISIL and Al-Qaeda. Meanwhile, IRNA reports Rouhani will cut short his visit to New York and return to Tehran for the funeral of Iranians killed in the haj tragedy in Saudi Arabia. 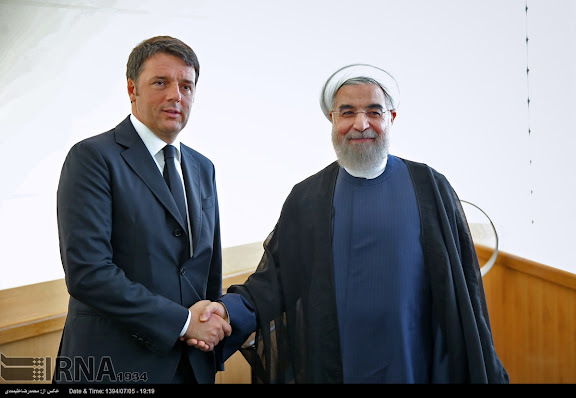 Italian Prime Minister Mateo Renzi with Iranian President Hassan Rouhani, on 27SEP15 on the sidelines of the United Nations General Assembly session. Japanese Prime Minister Shinzō Abe with Iranian President Hassan Rouhani and Foreign Minister Mohammad Javad Zarif, on 27SEP15 on the sidelines of the United Nations General Assembly session. 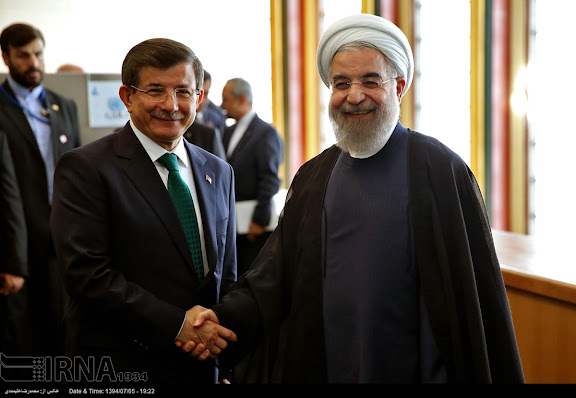 Turkish Prime Minister Ahmet Davutoğlu with Iranian President Hassan Rouhani, on 27SEP15 on the sidelines of the United Nations General Assembly session. 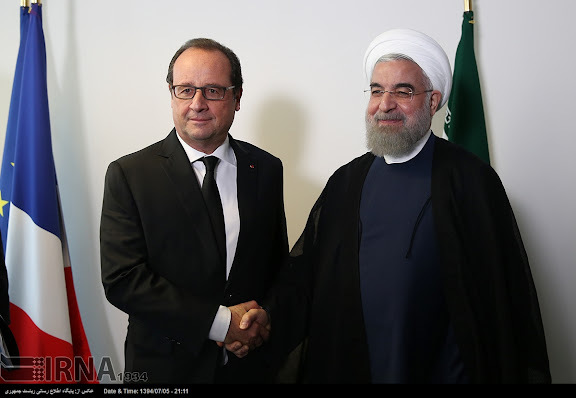 French President François Hollande with Iranian President Hassan Rouhani, on 27SEP15 on the sidelines of the United Nations General Assembly session. Bolivian President Evo Morales with Iranian President Hassan Rouhani, on 27SEP15 on the sidelines of the United Nations General Assembly session. 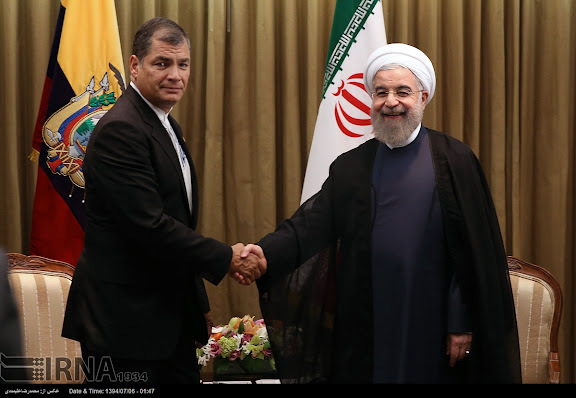 Ecuadorian President Rafael Correa with Iranian President Hassan Rouhani, on 27SEP15 on the sidelines of the United Nations General Assembly session. 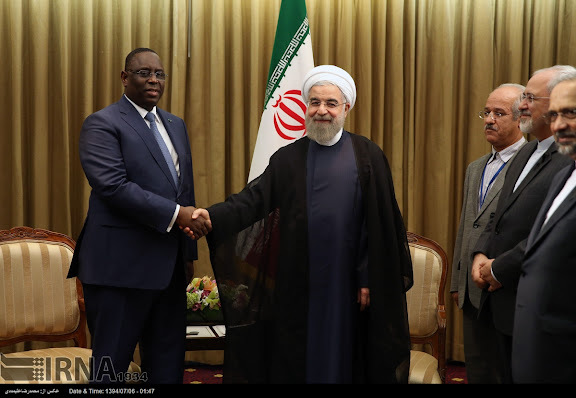 Senegalese President Macky Sall with Iranian President Hassan Rouhani, on 27SEP15 on the sidelines of the United Nations General Assembly session. 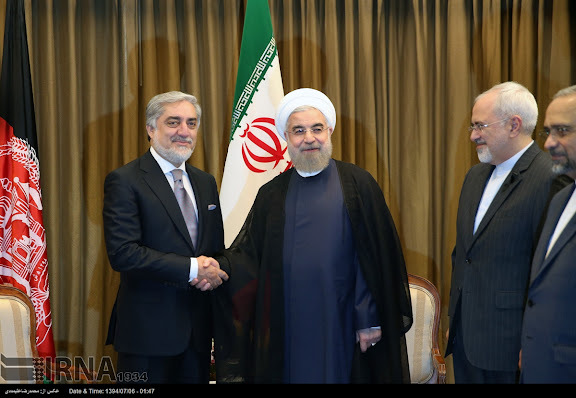 Afghan CEO Abdullah Abdullah with Iranian President Hassan Rouhani, on 27SEP15 on the sidelines of the United Nations General Assembly session. 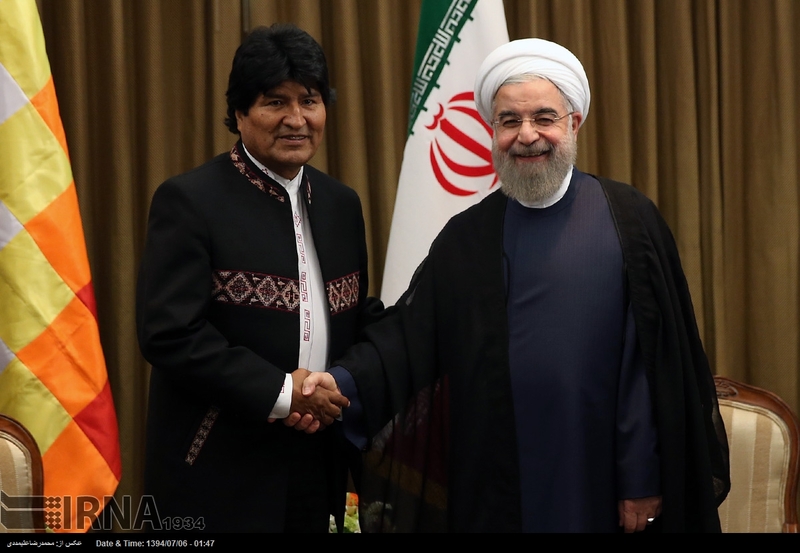 I have a feeling that Mr Rouhani will recall his meeting with Mr Evo Morales of Bolivia as the high point of his trip to the UN Assembly . Otherwise , a very impressive array of world leaders who actually don't mind being photographed shaking hand with Mr Rouhani , unlike his predecessor Mr Ahmadi-nejad whom everybody seemed trying to avoid . Iran's military and conservative establishment that accuses the U.S. of outright support of ISIL and Al-Qaeda, as noted in this post, must be operating in a parallel universe, and that's dangerous; ignorance coupled with power. It's not ignorance, it's propaganda. Problem with this propaganda is that security leaks from America itself suggest it. Now I'm not saying those leaks are accurate, in fact, they're probably very exaggerated. I'm just saying the efforts to topple Assad (just like Assad's own actions) may have in fact helped ISIS. It's more than that. Senior Iranian leaders soon after the fall of Mosul suggested that ISIL was created by the U.S. and went as far as saying that U.S. helicopters were landing in newly captured territories to deliver arms to ISIL. Iran's supreme leader and General Qasemi have both talked about ISIL as an organization created by the U.S. The Shia militia organizations in Iraq, those under Quds Force command, keep saying that the U.S. has created ISIL and is arming it and its airstrikes against ISIL are phony, used to fool the people in Iraq and elsewhere in the region. This is not propaganda. This is craziness. The Iranian military and conservative establishment react in similar fashion to U.S. claims of Iran harboring Al-Qaeda leadership, as part of a "3 dimensional chessboard." The accusations coming from either direction are met with the same level of indignance. 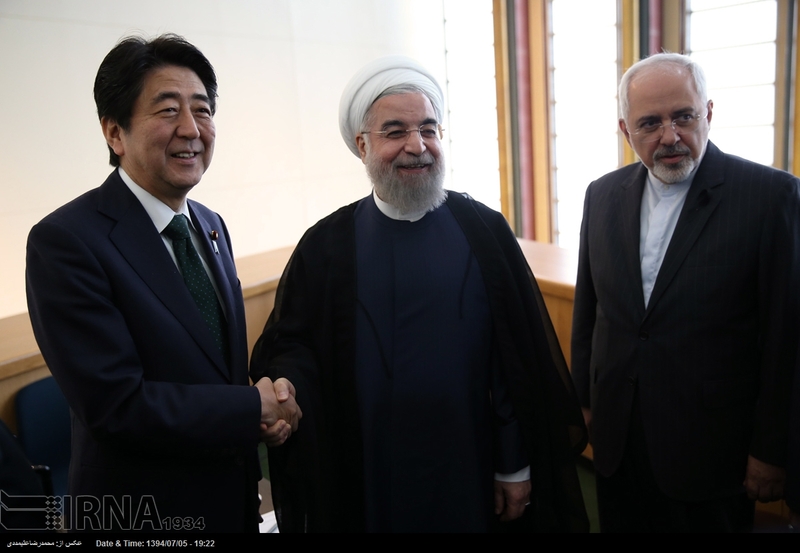 The Rouhani administration is posturing that they expected a greater level of regional cooperation with the Obama administration, post-signage of JCPOA. They say they're disappointed. I have to state, I am merely identifying Iranian positions, not endorsing them. For various reasons, it is hard to find accurate renderings of Iranians political and military positions. Most times their positions are misread or their motives incorrectly judged. We can certainly disagree with their positions or take exception to their motives. But in my humble opinion, it's important to get these positions and motives correct, in the first place. I agree we have to get their positions right. Best thing is to listen what they say, at the highest level of leadership. I don't believe there is much of a mystery interpreting what Ayatollah Khamenei and Gen. Soleimani meant when after Mosul they said that the U.S. military is aiding and even arming ISIL in Iraq (even used the example of U.S. helo dropping arms for ISIL). It is that position which is out of touch with the realities on the ground, and probably is based on their anti-U.S. ideology than on facts. As important as knowing the right positions, I am curious how do you interpret their position regarding creation of ISIL by the U.S. BTW, you brought up that position in your own post here! And let's not forget the senator who said "Al-Qaeda is mostly Shia", or the wild accusations by Netanyahu and his friends at Congress, things like "Iran's constitution calls for worldwide Jihad". Propaganda is propaganda. It's always better (politically) to make it look like all your enemies are one united block, even when they're not. Just come here to the Arab world and listen to all the crap about Iran and Israel staging the 2006 Israeli-Hezbollah war "to make it look like Shias and Jews are enemies", or "the U.S staging the 1979 revolution in Iran to install a Shia regime that would undermine Sunni U.S allies"! Oh, and make no mistake, these conspiracy theories are held by thinkers, journalists and even members of parliament! With all due respect, I disagree. There is a significant difference between a position espoused by a senator or a conspiracy theorist than by the head of state and the head of military ops in the region. Those are the official positions of the country.